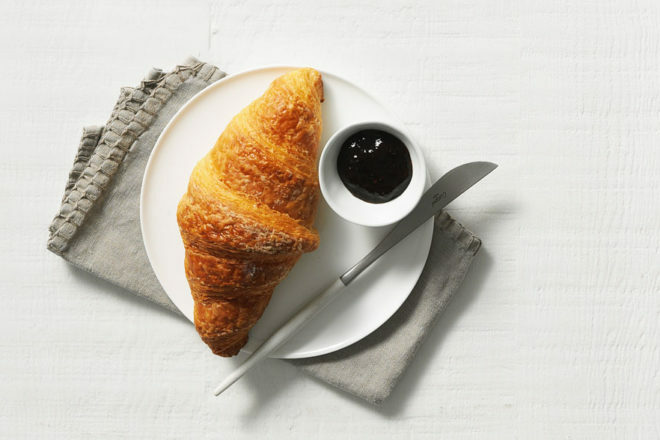 Crusty croissant and jam; a familiar offering at buffet breakfasts around the world (photo: Edward Urrutia, styling: Louise Marshall). The buffet can be tolerated as long as it’s a queue for croissants and orange juice, something Asian hotels have turned into an art form. Words Sally Webb. I’ve never been a big fan of the buffet: mountains of (often) not particularly good food, with hordes of people trying to get at it. You end up with a mish-mash of flavours on your plate, which don’t always go together, and inevitably eat way too much. However, I make an exception for buffet breakfasts in decent hotels, especially as my children adore them. Indeed, other than room service and kid-sized bathrobes, the hotel buffet breakfast is, for my kids at least, the most exciting part of international travel. On a recent trip to Singapore we found, arguably, the world’s best breakfast buffet at the Westin Hotel. The restaurant was huge, with separate zones covering the rich multiculturalism – Chinese, Malay, Indian – that is the foundation of Singapore. So we could indulge in everything from congee with all the condiments to dim sum, noodles, roti, paratha, curries and dhal. There was also Japanese noodles, miso and sushi, cold meats and cheeses favoured by northern European palates, cut fruit and yoghurts displayed like jewels on ice, a juice bar, an extensive array of pastries and breads (including a gluten-free corner), and the full English, comprising eggs, bacon, beans, tomatoes and mushrooms under silver cloches, plus an omelette-to-order station, something that international, and especially Asian, hotels do so well. Having skipped dinner on our arrival the night before we were famished, and the kids went nuts, hoovering their way through cinnamon doughnuts, croissants, pancakes and waffles, before moving onto juices, dim sum, eggs and bacon. Archie, my more adventurous eater, added spring rolls, noodles and an omelette to the mix. It was like watching the Very Hungry Caterpillar on steroids. A buffet breakfast doesn’t have to be large to be good. It’s ultimately about quality, and if it’s beautifully styled, all the better. 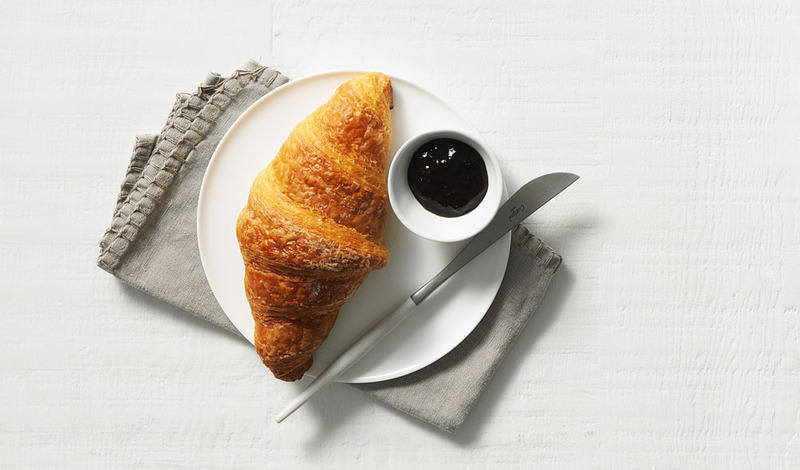 I recall eating the most delicious Swiss yoghurt with wild berries and a flaky, buttery croissant at Zurich’s Widder Hotel in its bijoux breakfast room. It was simple but just perfect. I also have fond memories of the Hotel Metropole in Hanoi where the buffet nods to both Vietnam’s French colonial past (bread and melt-in-the-mouth pastries) and traditional local dishes, such as pho, which, incidentally, wasn’t quite as tasty as the one available on the street for a fraction of the price around the corner from the hotel. When I travel I like to go native, so in Singapore it was jasmine tea, dim sum and paratha for me. One of my favourite breakfasts ever was at the Taj Mahal Hotel in Delhi where we had masala dosa filled with aromatic potato, onions, chilli and spices. It’s from southern India but it was native enough for me. There are also advantages to a buffet breakfast when you’re travelling with fussy eaters in a culture where they might not fully embrace the food. Fill your kids up on familiar things – fruit, yoghurt, eggs, pancakes, pastries, toast – and they won’t need to eat for hours. You can also grab a banana or a tub of yoghurt to keep in your room or stash in your handbag for later. Metaphorically speaking, it might just save your bacon. Sally Webb is the founder of Travel Without Tears, travelwithouttears.com, which provides inspiration, advice and bespoke trips for families.